Now that I’ve got my hands on thebalm How ‘Bout Them Apples Cheek Palette, I’m forgiving the cowboys! It’s a great little blush palette and the colours are beautiful. The first thing I noticed is that the consistency seems to have a lot of slip (i.e. a little oily to to the touch), however, the pigments are strong and the slip makes for very easy blending. I’m not listing individually since there is no way to buy one without the other, but the red shade is all Snow White cheeks and I love it! You can use How ‘Bout Them Apples colours on the lips, too, and this makes more sense of the slip. 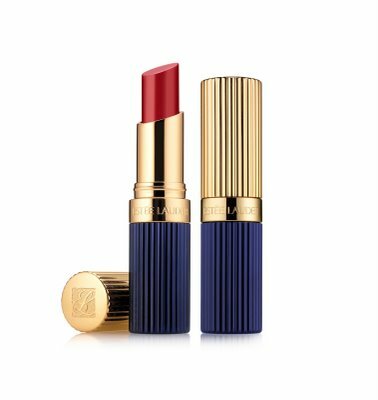 On the lips, the shades are more of a stain than a gloss or satin finish. I might have forgiven the cowboys but still don’t have a clue what they’re doing there! 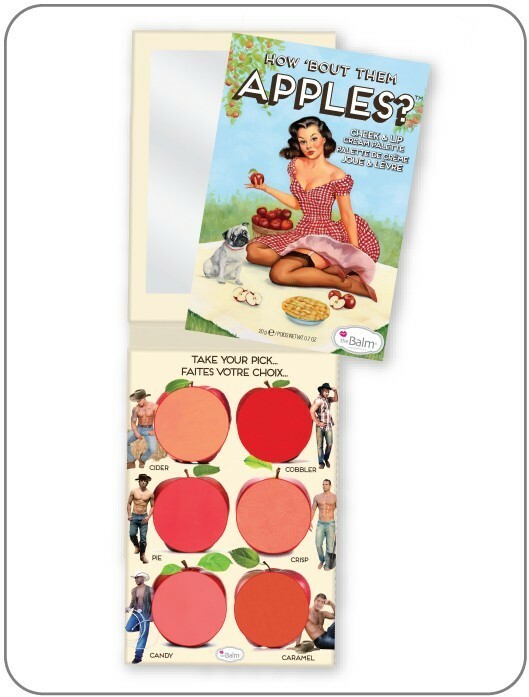 thebalm How ‘Bout Them Apples palette launches in a couple of weeks at Cloud10Beauty HERE. I agree that the cowboys don’t make much sense, and yet I’d definitely buy this for my 55 year old mum so she can oogle fit men every morning while putting on make-up, or even to just make her laugh! 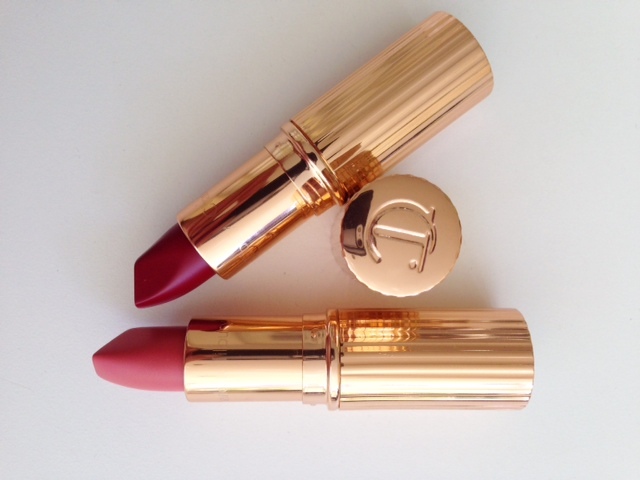 I wouldn’t mind one for myself either, as they double as lippies I know I’d get a lot of use out of them! I still love the look of this palette! Agree completely with the weird cowboys, but the shades look gorgeous! It’s a pity it looks good but I won’t buy it on the cardboard packaging issue. It cheap tacky and I’ve even had my product fall out of the card in previous purchases of card packaged items after just a few wiggles round with a brush on them, and also had the card “lid” come away too. Uhhg never again.surely a company can pay a few pence extra to have something nice to put their item in. 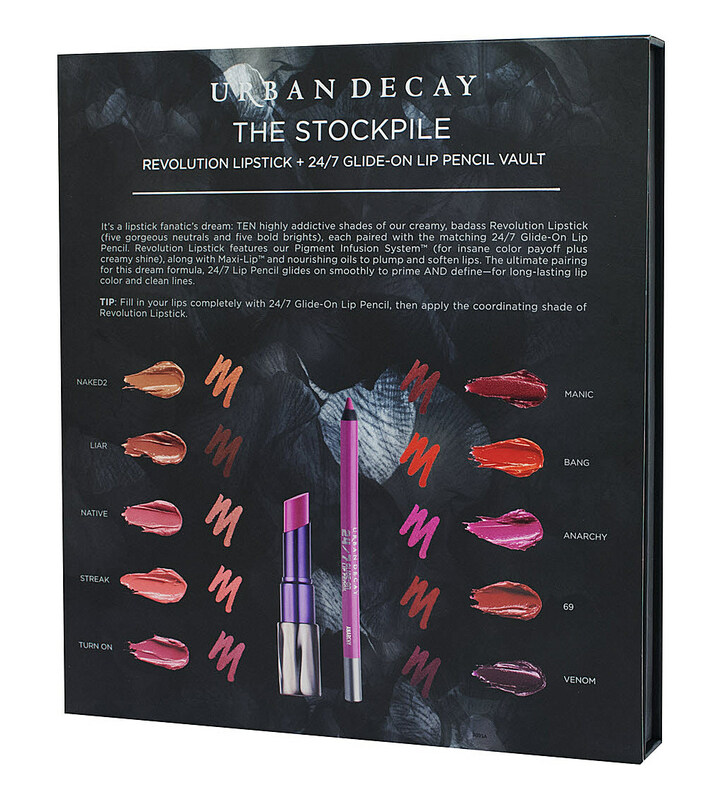 Ooooh – these are gorgeous and so pigmented. 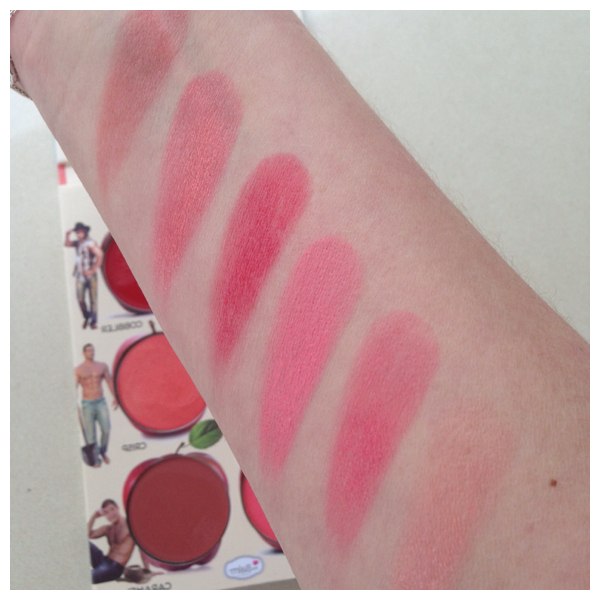 I am loving blush at the moment and buying far to many. I love the Balm products. They are all on cardboard and I have never had a problem with the product falling it. 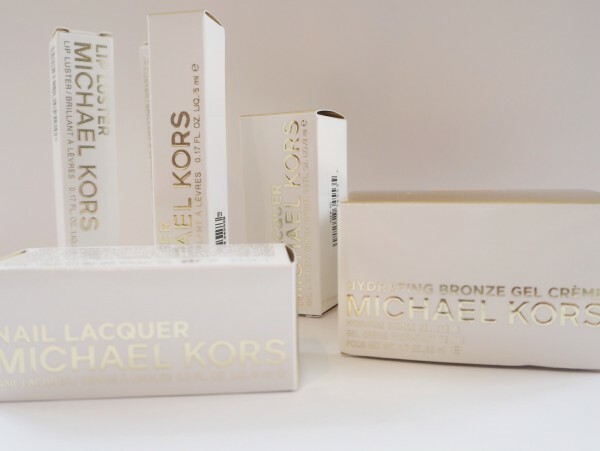 I travel A LOT and the lightweight packaging is perfect. I have UD Naked Palettes and all that heavy metal is just too much weight to add to a suitcase. I am so glad to see a blush palette. There are too few of them out there. It is so practical for travel. This is definitely a “must purchase” product for me.